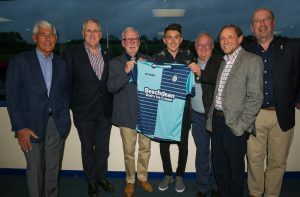 Wycombe Wanderers Players Sponsor Dinner at Adams Park, High Wycombe, England on 24 April 2018. Photo by Vince Mignott / PRiME Media Images. 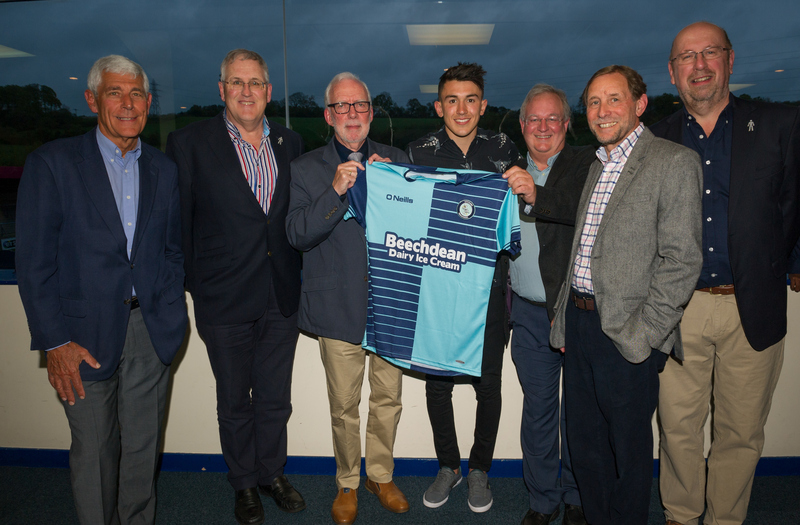 The Trust Directors have once again personally sponsored the home shirt of Luke O’Nien this season and a good number of them were present at the Kit Sponsors Dinner on Tuesday night. Pictured (l to r) with Luke are David Roberton, Alan Cecil, David Cook, Martyn Broughton (Treasurer), John Bignell and Trevor Stroud . Along with a good number of other kit sponsors, the Trust Directors pledged on the night to renew their sponsorship for next season, though this will need to be ratified at the next Trust Board meeting. The cost of this sponsorship is met by the directors themselves and not out of Trust funds.